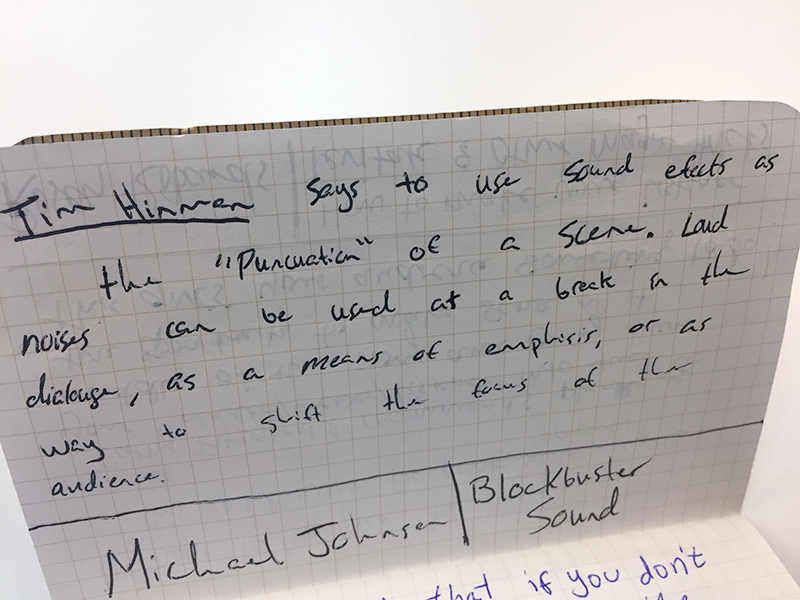 Tim Hinman, of the Third Ear podcast, says to use sound effects as the “punctuation” of a scene. Loud noises can be used at the break in a dialogue, as a mean of emphasis, or as a way to shift the focus of the audience. 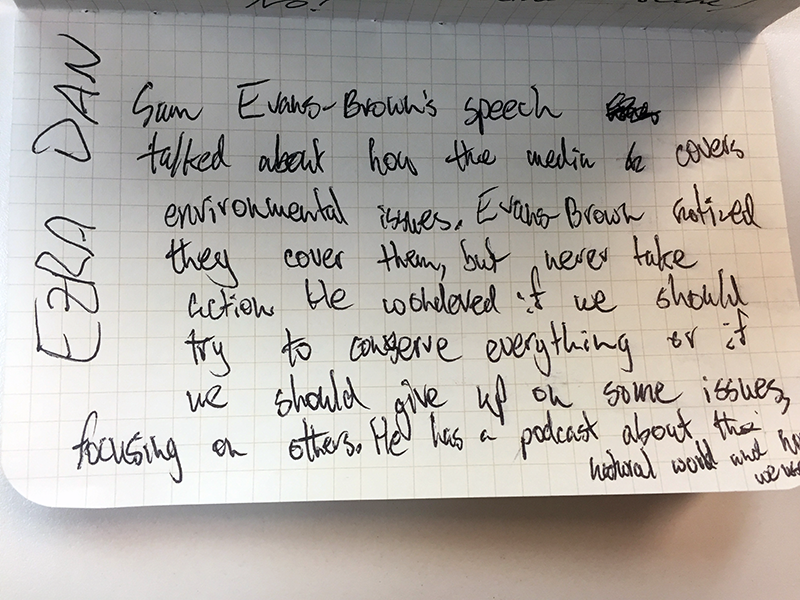 Sam Evans-Brown, of New Hampshire Public Radio, talked about how the media covers environmental issues. Evans-Brown noticed they cover them but never take action. He wondered if we should try to conserve everything or if we should give up on some issues, focusing on others. He has a podcast about the natural world and how we use it. Eleanor McDowall, of Falling Tree Productions, said that sound provokes intimacy between the listener and the story. 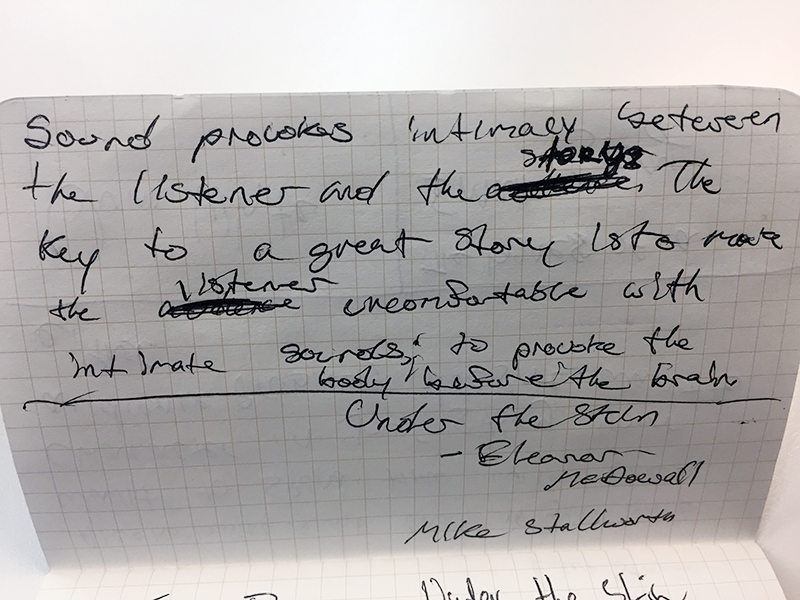 The key to a great story is to make the listener uncomfortable with intimate sounds to provoke the body before the brain. 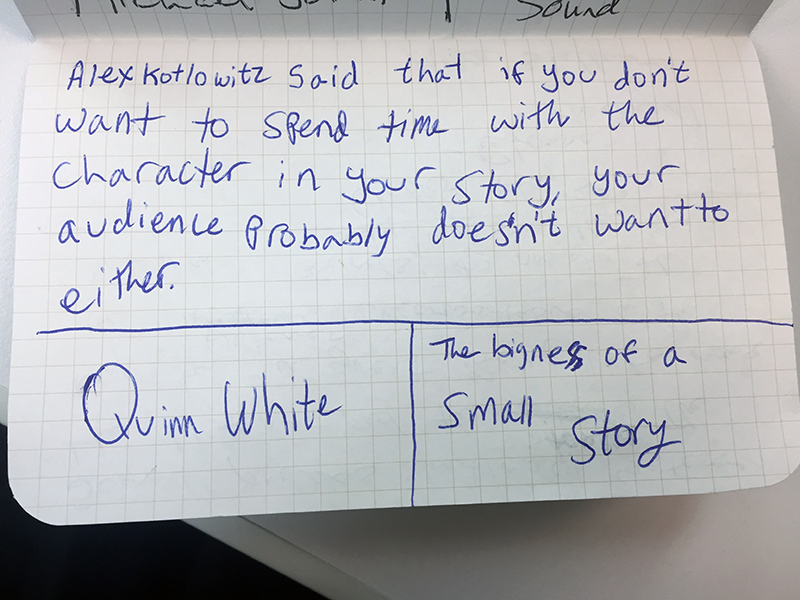 Alex Kotlowitz, contributor to New York Times Magazine, This American Life and many other publications, said that if you don’t want to spend time with the character in your story your audience probably doesn’t want to either. A technique to try! 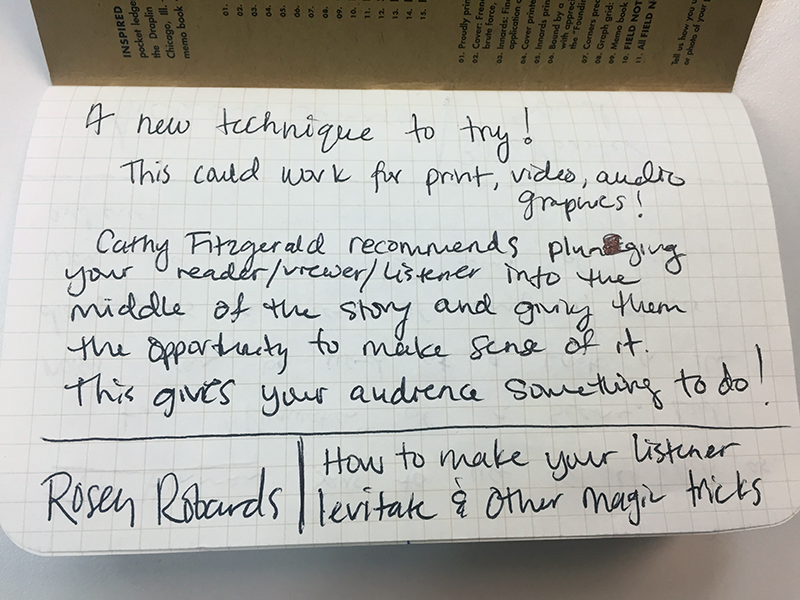 Cathy Fitzgerald, of White Stiletto Productions, recommends plunging your reader/viewer/listener into the middle of the story, giving them the opportunity to make sense of it. This gives your audience something to do while they listen. 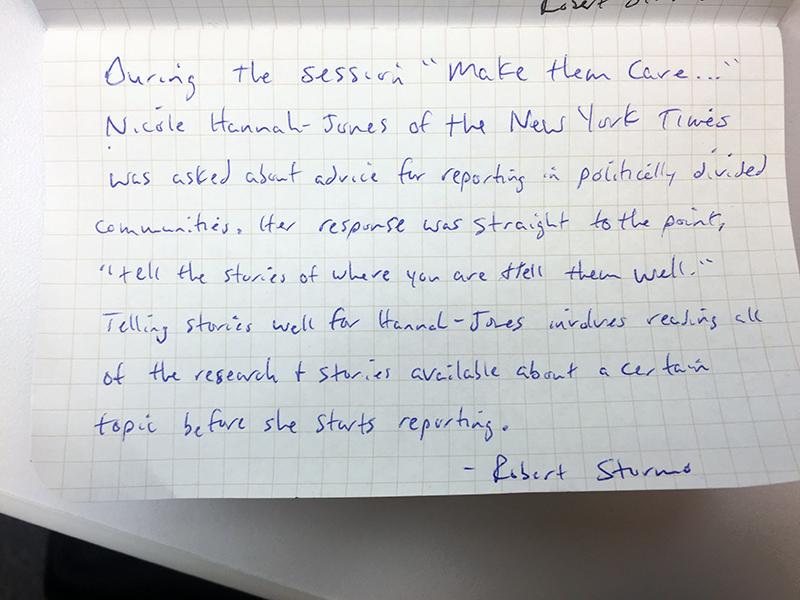 During the session, “Make Them Care,” Nicole Hannah-Jones of the New York Times was asked about for reporting in politically divided communities. Her response was straight to the point, “Tell the stories of where you are and tell them well.” Telling stories well for Hannah-Jones involves reading all the research and stories available about a certain topic before she starts reporting. Previous Post Let’s go to the movies!